The ASPB Summer Undergraduate Research Fellowships (SURF) fund promising undergraduate students so they can conduct research in plant biology during the early part of their college careers. SURF recipients must present their research at ASPB’s annual Plant Biology meeting in the year following the fellowship award. Two 2017 SURF recipients share how their undergraduate research experience has impacted what is next for their future. Encountering an undergraduate with research experience isn’t terribly common. In those four years, an active student is pulled in so many directions (coursework, part-time employment, clubs, internships, etc.) that allocating time and energy to do research can be difficult. 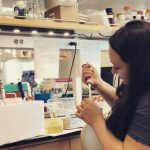 It came as no surprise that to me then that when I finally did send out my applications for graduate school, most of the responses were focused on my experiences in the lab. The questions I received focused particularly on my participation in ASPB’s SURF program. Being in the program not only made me a competitive grad school candidate, it also solidified my decision to pursue an advanced degree in the first place. A significant hurdle involved in undergraduate research seems to be getting enough contact time with faculty to execute a supervised project. Being part of the SURF program allowed me to focus all my attention on my research and get the most out of my interactions with my mentor. This ultimately translated to a more complete research product, in-depth training, and a meaningful immersion in the research topic. These aspects of my participation in SURF were what potential advisors were attracted to when they received my application. My work in SURF wasn’t my first research experience, but it was the first time I was ever put in the driver’s seat. The building, learning, troubleshooting and analyzing I engaged in stand out as one of the most formative set of challenges I’ve ever tackled. Before my fellowship, there was always an air of mystery about the research process that I couldn’t quite dispel. It was going through these challenges which gave me the confidence to apply to grad school. In its most basic interpretation, this fellowship is a great funding opportunity. To a motivated student with limited resources, however, it can be the difference between reaching for an advanced degree or not. I begin my journey as a master’s student in horticulture at Iowa State Univeristy this month, and I know full well that SURFing is what got me here. It has been a year since the end of my ASPB SURF experience. Looking back on last summer, I realize just how different my life is today because of the fellowship. I am a more engaged and technically skilled scientist, and a more prepared incoming graduate student because of SURF. I learned so many important skills that I will use for the duration of my career. Working on a project over the summer gave me the chance to focus on the research while classes were not in session. I became familiar with the literature related to my project and took ownership of the scientific process. I learned new techniques that helped me address my research question in interesting ways. I learned how to work with other lab members, as well as how to have a good working relationship with PI. There’s no doubt that completing a summer fellowship during undergrad is a formative experience. My SURF project is what truly solidified that graduate school was the right option for me. I became passionate about the topic I was studying, and it led to my interest in a career of plant science research. After completing my SURF, I applied to several graduate schools and attended many interview weekends. ASPB’s SURF prepared me for these graduate school interviews. 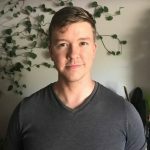 I was asked about my SURF project heavily by potential PIs, and knowing the details of my research from spending a whole summer working on my project was helpful for me to be confident in those interviews. Graduate schools seemed very interested in the fellowship and what I learned from the experience. I will begin my PhD in Biology at Stanford University in the fall. In graduate school, I look forward to building upon foundational skills that were seeded by ASPB’s SURF. One of the most notable parts of being a SURFer is attending a Plant Biology meeting. Not all undergraduates get the chance to experience a big meeting like Plant Biology, and it was such a privilege to have that opportunity. I was able to network with plant scientists from all over to learn more about the field and what types of research are going on. I now keep up with these connections on Twitter and LinkedIn, both of which have become forms of scientific communication platforms. Finally, I connected with other undergraduates who are doing plant research. I have met several SURFers who I consider lifelong colleagues and friends! These are only a few ways that attending the annual meeting gives undergraduates a chance to “plug in” to the field of plant science and engage with it in a new way. This program is so much more than a summer research project, and I encourage any undergraduates who want a research experience to apply this upcoming year. For students and/or mentors interested in the SURF program, more information can be found at http://surf.aspb.org. Applications for the 2019 cohort will be accepted beginning December 1, 2018.